Dr Małgorzata Głowacka-Grajper is a sociologist and social anthropologist, assistant professor at the Institute of Sociology, University of Warsaw. Her research interests include: social memory, ethnic tradition, contemporary developments in ethnic identity and minority group activism. She conducted three research projects on the politics of cultural re-birth in Siberia in Russia in the year 2000, 2006 and 2010-2012. She also carried out research projects on Roma activists in Poland, Lithuania and Slovakia and on Polish minorities in former Soviet republics. In 2013-2015 she conducted research on the memory of territories lost after World War II in contemporary Polish society and published the book The Transmission of Memory. Memory Activists and Narratives of Former Eastern Borderlands in Contemporary Poland. (Transmisja pamięci. Działacze sfery pamięci i przekaz o Kresach Wschodnich we współczesnej Polsce) (Warszawa, 2016). 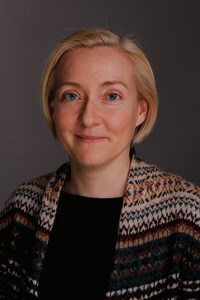 Her current research projects concern the relation between memory and religion and the class dimension of social memory.